Premium Snow Brushes Customized in Bulk. Made in USA. Recycled Snow Brushes at the same price! Budget Prices in USA and Canada. High quality, yet inexpensive customized Snow Brushes in bulk. We also supply blank (not personalized) bulk Deluxe Snow Brushes for $2.49each. Free artwork design and Free proofs! American clients pay no taxes. The unit prices below include your 1-color custom imprint on the blade. Add the amount shown for each additional imprint color. 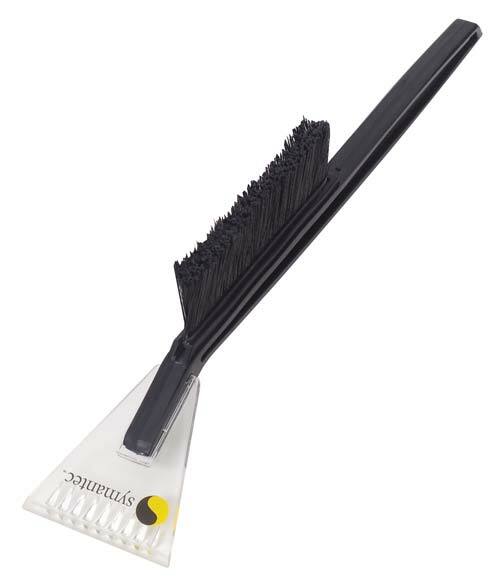 We also supply blank (not custom imprinted) bulk Deluxe Snow Brushes for $2.49 each. Production Time: 7 days; Rush Production of 3 days: add $0.75 per unit. Blank (not custom imprinted) snow brushes ship next day. This heavy-duty snow brush is available in a wide variety of colors. It is functional, attractive, value-priced and built to last with a polycarbonate blade. Black, Eco Dark Green & Eco Navy handles and black blades made with up to 100% recycled material. PRODUCTION TIME: 7 days after art approval; Rush 3 day production is available: add $0.75 per snow brush. Blank items ship next day.